Here, surely, we have a passionate and evocative description of the Vikings: bold adventurers stepping forward onto the world stage, ready to set a blaze on four continents and pave the way for the nations that would rise in their wake. In fact, this passage, taken from Joseph Conrad’s Heart of Darkness, describes the explorers, buccaneers, settlers and merchants – ‘the dark ‘interlopers’ of the eastern trade, and the commissioned ‘generals’ of the East India fleets” – who had set out from the Thames from the 16th to the 19th century, laying the foundations of the British Empire and changing the world forever. But striking similarities between the Vikings and the British of the early modern and modern age underlie this coincidence of images: societies alienated in politics and religion from their closest neighbours and rivals, possession of a technological edge at sea, bravery, curiosity, a lust for gold and a willingness to use violence and brutality to whatever end. It was a comparison that the Victorians were not slow to identify, though they saw the comparison in a generally positive light. …much of what is good and true in our laws and social customs, much of what is manly and vigorous in the British Constitution, and much of our intense love of freedom and fair play, is due to the pith, pluck and enterprise, and sense of justice that dwelt in the breasts of the rugged old sea-kings of Norway! Cruelly bit their soft flesh. Valgard of Voll, c. AD 1000–1100, quoted in ‘King Harald’s Saga’, Heimskringla (c.1230) by Snorri Sturlusson, 1179–1241; translation by M. Magnusson and H. Pálsson in King Harald’s Saga (Penguin Books, London, 1966, 2nd ed. 2005). Viking slave shackles excavated in Dublin and Germany bear a startling similarity to those used in the transportation of Africans to the Americas and West Indies in the 18th and early 19th centuries by British slave-traders, such as these in the International Slavery Museum, Liverpool. But at the same time, the rapacity and technological edge that made the Vikings so feared were also to effect lasting change on a continental scale. Settlements in Ireland, Russia and Ukraine played a pivotal role in the development of urban civilisation in those regions, and the influx of trade goods and silver from the east contributed in no small way to the economic development of European markets. New settlements and cultures grew out of Viking exploration, sometimes where none had existed before. The birth of an Icelandic nation was to give Europe its oldest living parliamentary system and lead to an extraordinary flowering of medieval literature in the shape of the Icelandic sagas. The legacy of the British Empire remains highly controversial. But it is even more problematic trying to judge the Vikings by the standards of 21st-century morality. 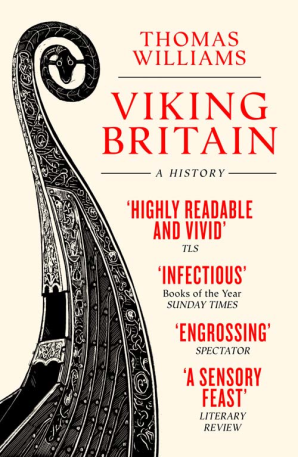 As with all stereotypes applied to large groups of people, labelling the Vikings as heroes or villains, raiders or traders, distorts history and oversimplifies complex phenomena. The Vikings were many things in equal measure, and their diversity of expression, activity and ethnicity is a defining aspect of what Vikings: life and legend seeks to explore.